Pure Korean numbers do not have HanJa representations. They are generally not used in genealogies. HanJa numbers are used in genealogies to represent dates, page numbers, book volume numbers, number of sons and daughters, and generations. Interestingly, some of the more complex versions of HanJa numbers below were used instead of the simple versions to make it harder to modify numbers fraudulently in important documents, like records of financial transactions. They are also found in some genealogical records. 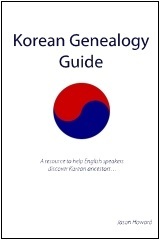 50 thru 90 were generally not used in Korea, but they were used in China – they are included just in case you run into records with them. thanks for everything,I really love this website.